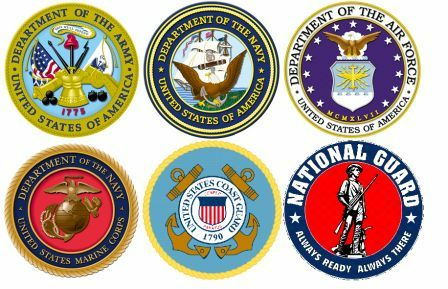 Navy, Marines, Coast Guard, Army, Air Force, National Guard, Reserves, & Spouses. VA can help you Purchase a home at a competitive interest rate. VA's Cash-Out Refinance Loan is for homeowners who want to take cash out of your home equity to take care of concerns like paying off debt, funding school, or making home improvements. The Cash-Out Refinance Loan can also be used to refinance a non-VA loan into a VA loan. VA will guaranty loans up to 100% of the value of your home. Limits the amount you can be charged for closing costs. Foreclosure avoidance support from the VA.
VA does not limit your purchase price, but for loans above the conventional limit, most buyers have to make a down payment for 25% or more. VA funding fee, discounted for 1st time users and for disabled veterans. Non-occupant Co-borrowers are not allowed. Appraisals are typically more critical of the home. Housing expense is calculated in the homes cost to attempt to keep defaults down. Home cannot be in a flood zone. No appraisal or credit underwriting package is required when applying for an IRRRL. An IRRRL may be done with "no money out of pocket" by including all costs in the new loan or by making the new loan at an interest rate high enough to enable the lender to pay the costs. You may NO T receive any cash from the loan proceeds. VA does not set a cap on how much you can borrow to finance your home. However, there are limits on the amount of liability VA can assume, which usually affects the amount of money an institution will lend you. The loan limits are the amount a qualified Veteran with full entitlement may be able to borrow without making a down payment. These loan limits vary by county, since the value of a house depends in part on its location. The basic entitlement available to each eligible Veteran is $36,000. Lenders will generally loan up to four times a Veteran's available entitlement without a down payment, provided the Veteran is income and credit qualified and the property appraises for the asking price. Call for Loan Limits in your county. The funding fee for second time users who do not make a down payment is slightly higher. Also, National Guard and Reserve Veterans pay a slightly higher funding fee percentage. Guidelines change frequently, therefore, we do not guarantee accuracy. Above is provided as a reference, to be confirmed with our team. Subject to change without notice.